Gene & Yvonne Goldsmith. 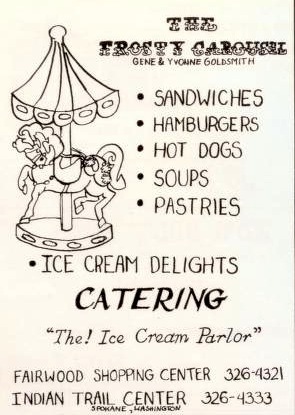 Sandwiches, hamburgers, hot dogs, soups, pastries, ice cream delights, catering. "The ! Ice Cream Parlor"